To facilitate the route searching process, landmarks listing are used in this section to include places that peoples normally visits. The landmarks are divided by states. It will be update by time so make sure you check it out frequently. 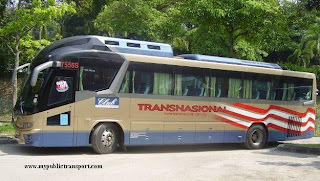 What bus do I take from kl to RHB bangi pls ? You need to use RapidKL U40 to Kajang, then use RapidkL T431 to RHB Bangi. Hai..sy dr seremban..sy br dpt keje di wisma chase perdana (ptptn HQ)..sy nk tnye..ape public transport yg paling awal dr seremban untuk ke sane? Kalau boleh,bas la..sebab sy masuk keje sebelum pkul 8.30 pagi..tq..
You need start very early from Seremban by using KTM to KL Sentral, then use RapidKL U82 or U83 to Jalan Semantan. You can use RapidKL B112 from KL Sentral to Phoenix Hotel. Hi you need to use RapidKL T223 or U224 from Bandar Baru Sentul to Chow Kit, then use RapidKL U33 to Ayer Panas. For return, just use the same bus but in opposite direction. Hi how to go to medan mata from setiawangsa ltt station. Thsnks. 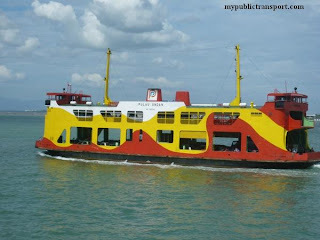 If I take Cepat Cekap 2200 bus from JB to Dungun, what time will I arrive the Dungun bus station? 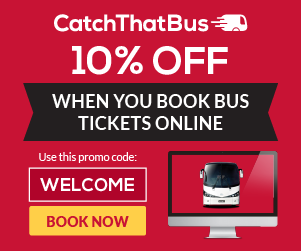 If I take Transnational bus, will the travelling time be the same? Can I know where is Medan Mata? The travelling time is roughly the same. The journey needs about 8 hours. 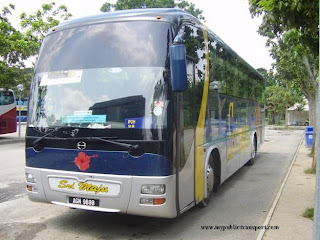 hi, can i know what is the nearest landmark if i want to stop atJalan BU 6/3, Bandar Utama,47800 Petaling Jaya using 86 bus. hai..what bus can i take from setapak jaya area to jalan ipoh? You can use RapidKL U20 or U24 to Chow Kit, then use RapidkL U3,U4,U8 and etc to Jalan Ipoh. which bus can I take from smk batu muda to the nearest lrt/monorail station? Hi, you can use RapidKL U10 to Sentul LRT Station. You can use LRT to Masjid Jamek, then use Selangor Bus 147 to Bestari Jaya. Hi, how do I get from Giant Seri Kembangan to Seksyen 7, Bandar baru bangi? Please help. Hi, you need to use taxi, there is no bus between these two places. Dari Sungai Buloh ke rhb bangi, berhenti di ktm mana? Berapa lama travelling time? Perlu ambik bas ke selepas ktm? You can stop at KTM Bangi and use taxi to RHB. You need about 1 hour + for the travel. dari ktm sungai buloh.nak.ke unisel bestari jaya naik bas apa? 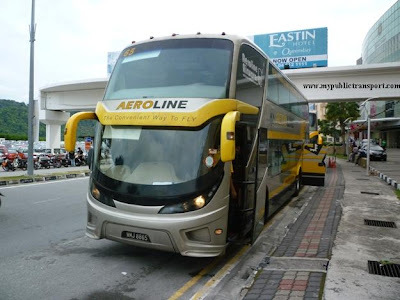 Which bus can I take from Hotel Sentral Johor Bahru to Senai airport ? And When can I take the first bus ? 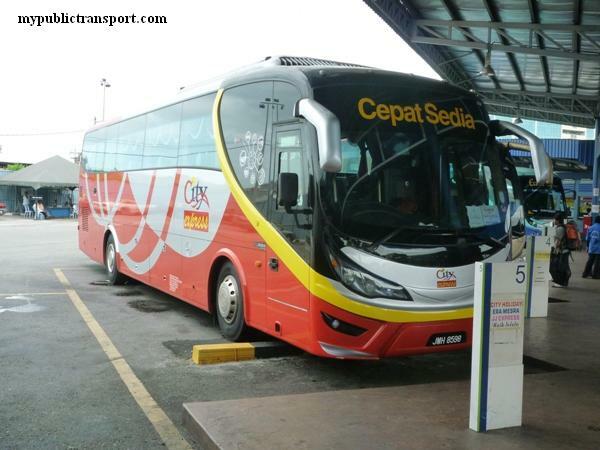 Hi, you can take bus no AIRPORT by Causeway LInk from JB Sentral to Senai Airport, the earliest is 6am. Hi, you need to go to Duta bus terminal for buses to Ipoh. Hi, you can take U89 from Kelana Jaya to Ikea, then change to U88 to Siantan Kota Damansara. Hi, you can take RapidkL U81 from Universiti station to Subang Airport. Journey about 40 minutes. Hi, you can take KTM from Serdang to Tasik Selatan, then take RapidkL T408 from Tasik Selatan LRT to Taman Connaught. 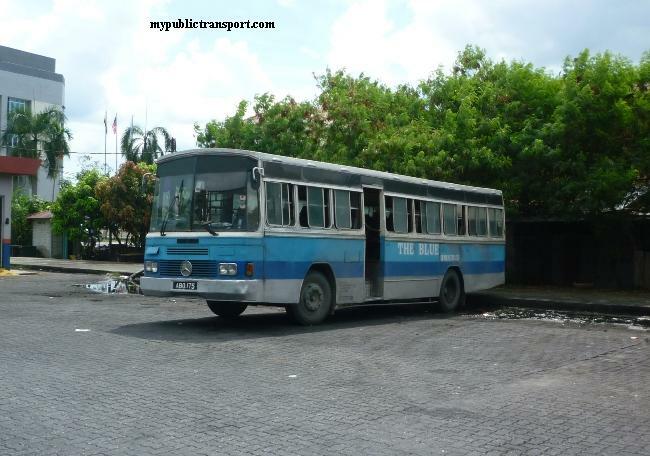 Hi what bus can I take from TAR university college to melati utama PV condo? What is the time for the first and last bus? Hi, you can choose to directly walk from TAR to PV. It is not suitable to use bus for such near distance. 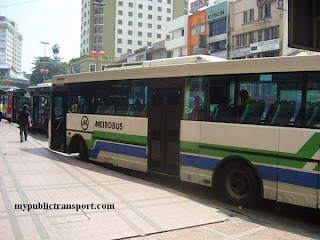 How to go tesco kepong from taman melati by using public transport? Hi, you can take LRT from Taman Melati to Pasar Seni, then walk to Kuala Lumpur KTM Station and take KTM to Kepong Station. You can walk from Kepong KTM Station to Tesco Kepong. Hi, if you need to be there at 8am, you need to take taxi from Sungai Buloh. Taking Selangor bus 147 from Sungai Buloh is another option but not sure if you can reach before 8am. Hi can I know how to go to ss2 MURNI from university of Malaya ? Thanks ! Hi, you can take Metrobus 12 or RapidkL U85 from PJ Gate to SS2 Poh Kong, then walk to SS2 Murni. 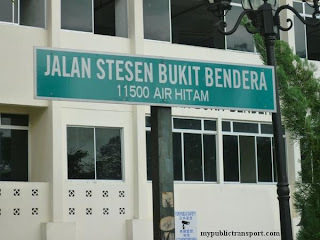 Hi, how to reach to this address from LRT bandar tasek selatan? Hi, you can take LRT to Bukit Jalil, then take RapidkL T418 and stop near Jalan Jalil Perkasa 1, then walk to Jalil Perkasa 13. How to travel from one Damansara condo to subang airod? Can anyone help me..
1. Take Taxi from One Damansara Condo to Airod, this should cost you Rm20. 2. Take RapidkL U8 or Metrobus 100 to Central Market, then take RapidKL U81 to Airod, this may cost you Rm6 only but takes 2 hours++. Hi, you need to take taxi to One South because the bus will bring you to the opposite road but there is no flyover for you to walk to One South. 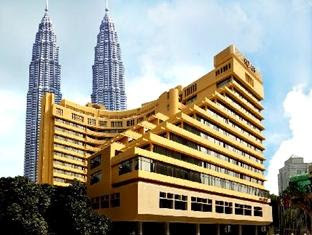 How to go to putra majestik condo from kl sentral.. My friend lived there. Hi, you can take Monorail from KL Sentral to Chow Kit, then walk to Jalan Ipoh and take any bus and stop near Lorong Kaspillai. Hello sir, can i know how to go to this address? Hi, you can take RapidKL U84 from KL Sentral, Mid Valley or Universiti LRT. You can also take RapidKL T625 from Taman Bahagia LRT. Hi, you can take RapidkL T626 to Taman Bahagia LRT, then take RapidKL T625 to SS8/39. 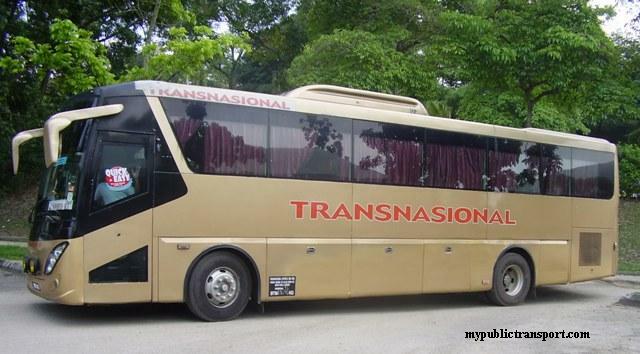 witch bus i should take to go from sunway pyramid to ara damansara.? Hi, you can take RapidKL U623 to Kelana Jaya LRT, then take RapidKL T607 to Ara Damansara. Hi,how to go to pjs7 from tbs? Hi, you can take LRT from TBS to Kelana Jaya (transit at Masjid Jamek), then take RapidKL U623 to PJS7. Hi, you can take RapidKL T523 from Mydin to Persiaran Kewajipan and walk to SS15/8A. How to get to wisma klia holdings bangi from seremban? Hi, you can take KTM from Seremban to Kajang, then take taxi or Minibus 77 to Wisma KLIA Holdings. If you take Minibus 77, you need to walk a far distance. which No bus going Palm court comdominium to Near Bandaraya LRT? 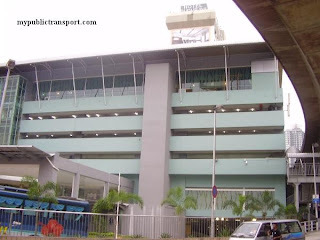 Hi, you can take Monorail from Tun Sambanthan station to Medan Tuanku Station. Then you can walk to near Bandaraya LRT. Hi, you can take RapidKL U1, U10 or Metrobus 41. You can also take T203 to Gombak LRT station and take LRT to town. how to go from ampang to Connaught avenue ?? Hi, you can take LRT from Ampang to Tasik Selatan (transit at Chan Sow Lin), then take RapidKL T408 from Tasik Selatan to Connaught Avenue. Hi, you can take RapidkL U71 to Old Klang Road, then take RapidKL U504, U60, U69, U70 or Metrobus 20,21,58 to OUG Parklane. hai, how to go from klang to phileo damansara one sect 16 pj. thanks. Hi, you can take Causeway Link 58k, Cityliner 710 or Seranas 99 and stop near Hilton Hotel at Federal Highway, then walk to Asia Jaya LRT and take RapidKL T629 to Phileo Damansara. Hi, you can take RapidkL T625 from Taman Bahagia LRT station to Unitar. May I know from kelana Jaya medical centre to Pj Ss2 is take which bus? Hi, you can take RapidkL T607, T624, U623 from LDP to Kelana Jaya LRT, then take LRT to Taman Paramount. From Taman Paramount you can take RapidKL U85 to SS2. hi. how to reach SPA building from Serdang? which bus should i take from Serdang? Hai from lrt taman bahagia to unitar, the bus in the weekend morning started at what time? And the frequency is? Hi, you can take RapidKL T783 from Taman Bahagia to UNITAR, starts from 6am and every 30 minutes. Hi there , kalau dari PV20 nk ke Pekeliling nak naik bas rapid no berapa eh ? Hi, you can take 250 from Jalan Genting Klang to Hospital KL, then walk to Pekeliling. 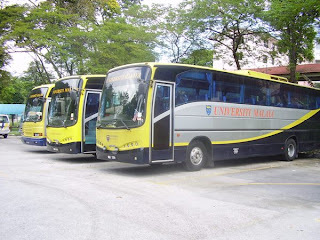 Good afternoon, may I know which bus should I take from KTM Sg Buloh to go to Unisel Bestari Jaya? Hi, you can take Selangor Bus 105 at Jalan Kuala Selangor. 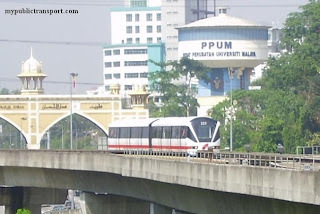 Hi, you can take LRT from Wangsa Maju to Datuk Keramat, then take RapidKL 220 to Pulapol. Hi, you can take RapidKL 300 to Ampang LRT station, then take LRT to Universiti (transit at Masjid Jamek), then from Universiti station you can take RapidKL 750 to Shah Alam. how to Menara Amfirst 2 at Kelana Jaya using public transport? Hi, you can take RapidKL T781 from Kelana Jaya LRT station. Hai.macam mana Saya Dari pekeliling nak pegi bandar sunway pyramid Pjbt PMC property service subang jaya menggunakn public tran samaada gune Bas atau komuter. Hi, you can take Monorail from Titiwangsa Station to KL Sentral, then take 770 to 771 to Sunway Pyramid. Hi, you can take Monorail from Titiwangsa to KL Sentral, then take KLIA transit to Putrajaya Sentral, then take 520 to Cyberjaya. And how about from plaza ttdi back to kl sentral? where can i wait and what is the bus number? Hi, you can take 800 as well, you can wait at here. 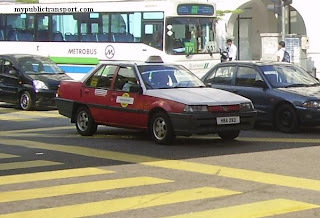 Hai macam mana nak pergi ke kolej vokasional gombak dari sri gombak using public trans? 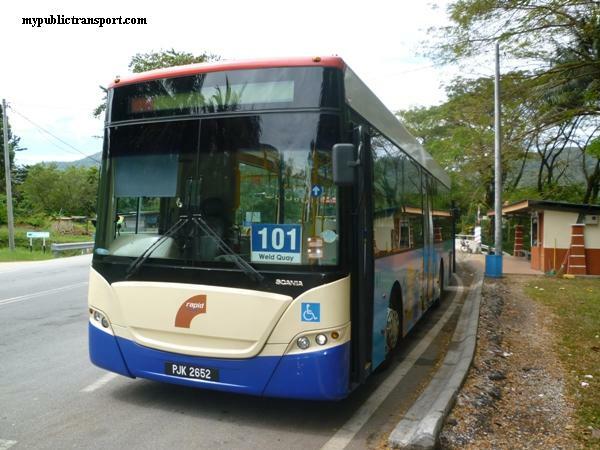 Hi, you can take RapidKL T201 from Sri Gombak to Gombak LRT Station, then take T200 to Kolej Vokasional Gombak. Macam mana nk pergi smk tinggi setapak dari setiawangsa using public transport? Macam mana nak pergi smk tinggi setapak using public transport? Hi, you cam take 851 from Pasar Seni LRT to court complex. Hi.. how to go to kv setapak for air panas...? ?which bus should i take..
Hi, you can take 254 to Jalan Genting Klang, then take 222 or 250 to KV Setapak. Hi...how can i reach Pulapol Jalan Semarak from Kl Sentral using lrt n bus? Tq. Hi, you can take LRT to Dato Keramat station, then take T224 to Pulapol. Hi, you can take LRT from Sultan Ismail or Putra station to Plaza Rakyat. You can also take any bus heading to Masjid Jamek, then you can walk to Pudu Central. Hi witch bus should i take from subang jaya to up twon 5? Hi, you can take LRT to Kelana Jaya, then take 802. Hi, you can take T802 to Kwasa Sentral MRT, then take MRT to Kota Damansara Station, then you can take T806 to Cova Kota Damansara. Hi, I would like to go to IJN by public transport. Could you help me please? Hi, you can take RapidKL 402 from Pekeliling. Hye . I want ask you something . How can i go to kv gombak ? If i from lrt gombak and which bus can i take ? Its t200 ? Im confuse . Because i want go to kvg before 7.30 o'clock . And what time the bus is arriving ? Hi, you can take T200, it is from 6.00am and every 30 minutes. Hi, you can take RapidKL 400 to Pudu, then take RapidKL 540 to giant Seri Kembangan. Hi, boleh saya tanya dari stesen kelana jaya ke unitar mcm mana ya? Hi, you can take LRT from Kelana Jaya to taman Bahagia, then take T783 or the free PJ03 to Unitar. Hi,what bus can I take from Klang Sentral to Kuala Selangor and where the pickup point? Hi, you can take 704 or any Seranas Bus from KLang Sentral to Klang bus terminal, then take 740 from Klang to Kuala Selangor. Hi, i am from seremban need to solaris publika dutamas. Could you help me? Hi, you can take KTM from Seremban to KL Sentral, then take MRT To Semantan, then you can take T821 to Solaris Publika. Hi, you can take T580 to Bukit Jalil LRT, then take 652 to Endah Parade (or walk there). Bas no berapa saya perlu naik daripada pv20 hendak ke lrt titiwangsa? Hi, you can take the free Selangor SMart Bus SJ04 to Jalan Raya 3, and walk to Univ 360 Palace. which bus should I take to go Kelana Jaya Lrt Station from Taman Bukit Kinrara? Hi, you can take the free SJ03 bus to IOI Mall, then take SJ02 to SS18 LRT, then take LRT to Kelana Jaya station. You can also take 506 from IOI Mall to Kelana Jaya LRT. Hi. From Tbs to SS 8/39 petaling jaya. Which bus should i take? Hi, you can take LRT from TBS to Taman Bahagia (transit at Masjid Jamek), then take PJ03 to SS8/39. Hi, you can take RapidKL 751.